Earll Pott’s practice is focused on white-collar criminal defense and related matters, professional licensing litigation, professional liability defense, complex federal and state civil business litigation, and state court criminal proceedings of all kinds, including cases alleging murder, arson, extortion, vehicular manslaughter, fraud, embezzlement and sexual assault. He has substantial experience in matters involving criminal securities fraud, false claims, and political corruption, and has defended professional licenses before the medical, nursing, and psychology boards. Mr. Pott began his career as a special assistant attorney general in Minnesota where he litigated employment and housing discrimination cases and assisted in the oversight of gambling regulation enforcement. In 1991, he joined the San Diego County Office of the Public Defender. Over the next ten years, Mr. Pott tried over 50 jury and court trials. He started his career in private practice in 2001 at a boutique litigation firm specializing in white collar criminal and professional malpractice litigation. He continued to try criminal and civil cases in state and federal court as well as before the Office of Administrative Hearings. In 2011, he became a named partner of the firm. 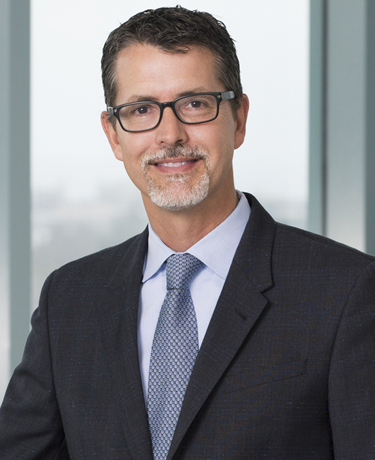 Mr. Pott has served as a guest judge and commentator at trial advocacy seminars at California Western School of Law and the California Public Defenders Association’s Annual Trial Skills Workshop, and has taught for the National Institute for Trial Advocacy. He is a member of the San Diego County Bar Association, the San Diego Criminal Defense Lawyers’ Club, and a former barrister in the American Inns of Court, Louis M. Welsh Inn. He is also an adjunct professor at California Western School of Law. Mr. Pott has been selected to Super Lawyers® in white collar criminal defense since 2010, enjoys an AV Preeminent rating from Martindale-Hubbell, and has received the highest “10” rating from Avvo.com.